The irony was that two of the most experienced drivers, entered for the 2007 Championship, had to struggle to qualify, and had then to battle each other to avoid last place. For Britain, Craig Speller, 31, is less than half Bill Giles’ 68 years, but has won the World Championships four times already, together with a clutch of European and British National trophies. 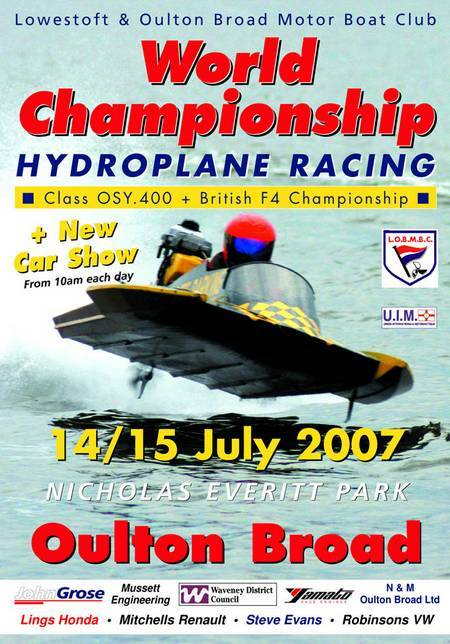 Both drivers were using brand new hydroplanes built in Britain in 2007. Craig Speller took out ’21’ for the first time on April 26. 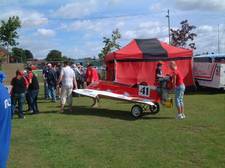 The craft is still in its development cycle and the lack of water in Britain for hydroplane testing is a major problem. 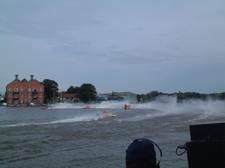 For those unfamiliar with this year’s Championship course, Oulton Broad is part of the Broads National Park and the only location, in the park, were hydroplane racing is permitted. 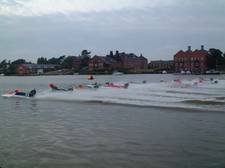 This is only possible through the philanthropy of a local lawyer who deeded an area of land along the Broad to the people of Lowestoft and Oulton Broad. In the conditions he placed on the gift, he required that there be a yacht club and a motorboat club, that they be guaranteed full use of the Broad, that a band play in the park to be created on the land and that a range of leisure facilities be included. 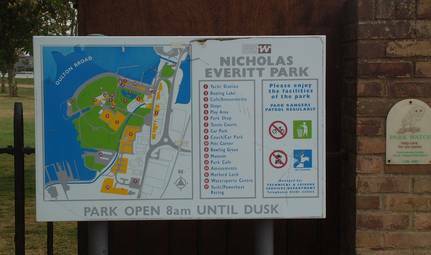 The Nicholas Everitt Park is named for him and his foresight has ensured the continuation of hydroplane racing on the Broad. 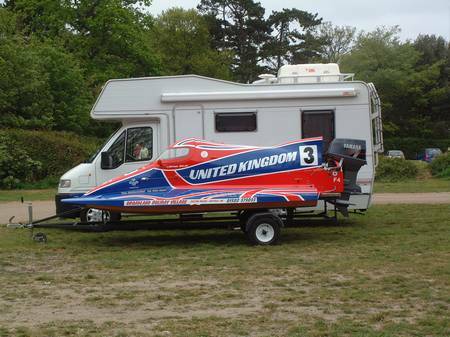 Sadly the rest of the United Kingdom has not faired so well and several stretches of inland water have been closed to hydroplanes in recent years. 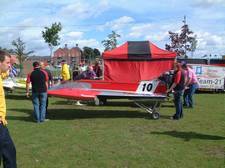 It is all the more to the credit of British hydroplane drivers that they have kept an exciting and affordable sport alive against the indifference of Government and the attempts by ‘conservationists’ to drive them out. By contrast, the Italian Government has lavished considerable funding on hydroplane racing and the result is a very strong national team. ’21’ crashed on its second outing in a spectacular corkscrew climb with Craig underneath the craft as it landed upside down, suffering severe bruising but only minor damage to the hydroplane. The crash was due to the right side aft digging in as the craft rounded a tight turn, starting a turning motion as water built up rapidly on the right side decking, the hydroplane climbing steeply out of the water and rotating. This was cured by fitting an up-stand to the right side rear quarter. The other issue to be resolved was the lack of prop in the water at full speed. With only a third of the prop disk in the water, there was poor thrust with the hydroplane flying in ground effect. As seriously, the cooling water intake was also out of the water most of the time. 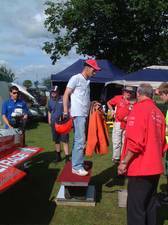 Craig achieved the fastest practice lap and convincingly won all three heats of the Second Stage of the British Nationals in May but overheating was still a problem. The engine was dropped to its lowest position and a fairing fitted over the rear third of the cockpit. 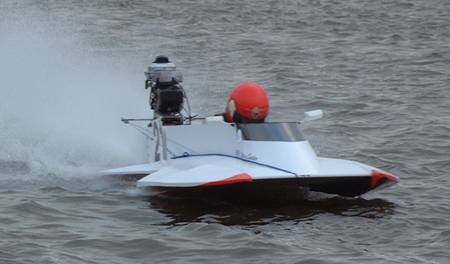 This proved very successful in testing, but limited availability of test time meant that only a narrow range of water conditions could be experienced. On the first day of the World Championship, Craig looked to be in a good position, the issues apparently addressed, although ’21’ is still clearly in its development stage, with several new features being tried. 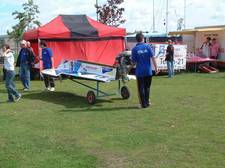 The first practice on Saturday July 14 was in marginal conditions. A strong wind was blowing up the course from the West, backing and returning more than 30 degrees. 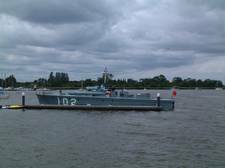 The Guard Ship MTB 102 dragged her anchor in the conditions and for a time had to hold position on her engines. 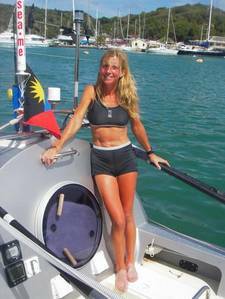 Craig rounded the buoy at the Eastern end of the course and the wind flipped ’21’ over, stopping practice and leading to the decision that conditions were too dangerous for the OSY 400s to use the course. 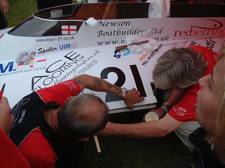 F4 cats and the mono hulls took advantage of the free time and put in some sparkling racing. 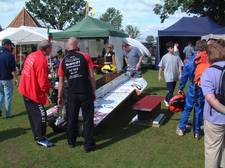 The stand down for the OSY 400s allowed Bill Giles and his team to work on their new hydroplane and they were busy planing wood off the undersides. 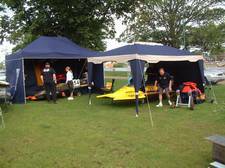 There was similar furious activity in Craig’s marquee as his team checked ’21’ for any damage and stripped the engine down to make sure there was no injury from the immersion when she flipped. 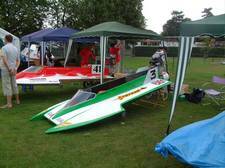 In the qualification races, both Bill and Craig had to work very hard with their new hydroplanes to qualify against stiff competition that saw several drivers eliminated including British driver Mike Pacey, in ’14’, who had enjoyed a very successful start to the 2007 season. 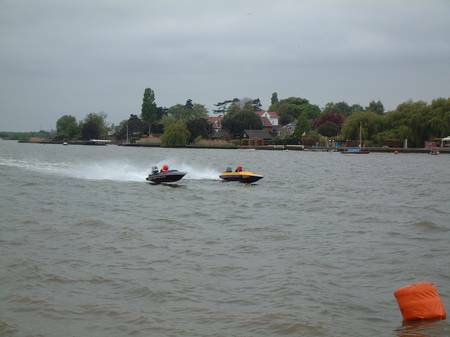 In the Championship heats, Bill and Craig started from the far end of the line and had the disadvantage of cutting through very disturbed water. This was a greater problem for Craig driving in a prone position with minimum height cockpit sides, leading to a heavy intake of water that in one heat put ’21’ very low in the water, making her difficult to handle. Driving from a kneeling position, Bill had the advantage of higher cockpit sides and windscreen for a dryer ride. 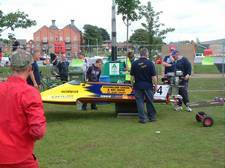 It was pretty clear to Craig’s shore team that ’21’ was not right for the conditions and the engine was raised after the second heat. 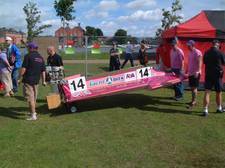 That showed improvement, and further adjustments were made before the forth and final heat. 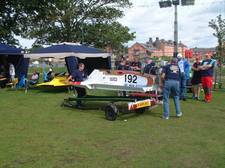 Bill and his team continued to work between heats to adjust his hydroplane. 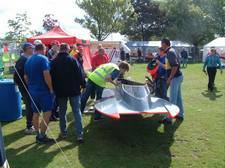 Craig’s team faced the added challenge of repairing battle damage suffered in two laps. The wisdom of building in wood was demonstrated. A composite hydroplane could not have been repaired between heats, but wood can be repaired with ‘hot-mix’ epoxy and screws. Both Bill and Craig had been showing improvements through the heats and the final irony was that the forth and final heat was halted prematurely. 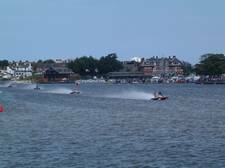 Bill remarked that it was similar to his first trip to Britain when he was mastering an unfamiliar hydroplane in the final races, seeing his performance yo-yo. 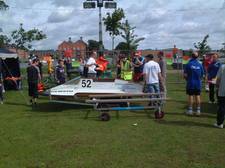 The forth heat required a restart. 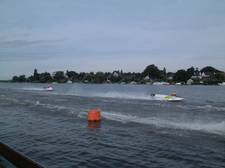 Then suffered delays while swans were cleared from the course, finally restarting only to be halted in the second lap after a hydroplane was stopped in a dangerous position at the East end turn buoy. Positions were awarded as at the time of stopping the heat. That resulted in British driver Sean Barnard in ’52’ winning the title and bringing the trophy back to Britain from Italy. There were some interesting lessons from the races. Wooden construction is not only significantly cheaper than building in composite materials, but it is much easier to reshape in the light of experience and battle damage can be fairly easily and quickly repaired. 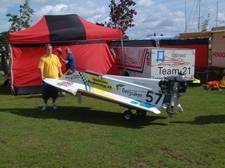 When composites fail, as they did on ‘3’ Tomas Cesneys’ hydroplane, there is little that can be done to keep it racing. Small details can also be costly as one Swedish contestant discovered. 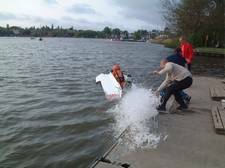 His hydroplane was fitted with foam-filled pickles on the front of his sponsons. Designed to break off in a crash, they did exactly that in Heat 4 and could not be refitted before the restart, removing him from contention. ’21’ Craig Speller being weighed in. Craig, a strict teatotaler, was also one of two drivers to be selected at random for alcohol testing. 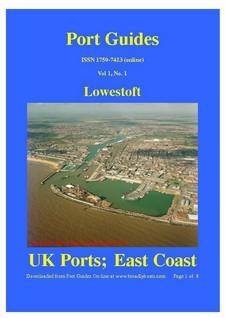 From the North Sea: Port of Lowestoft. Moorings at the Yacht Harbour and the Lowestoft Marina in Lake Lothing. 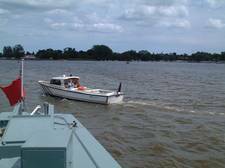 For boats of suitable size, continue through Mutford Lock into Oulton Broad. Moorings at the Outlon Broad Yacht Harbour. By Rail: One Railway via Ipswich or via Norwich. Best station on the Ipswich Lowestoft line is Oulton Broad South. 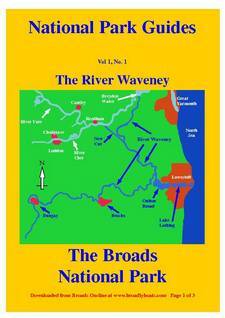 By road: A12 from Ipswich; or A146 from Norwich; or A12 from Great Yarmouth. 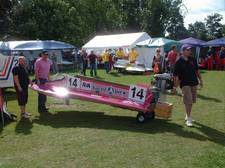 Craig Speller in ’21’ attempting to win a fifth OSY 400 World Hydroplane Championship title. 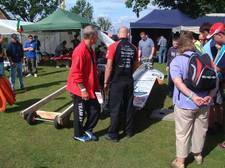 The 2007 World Hydroplane Championships for OSY400 and F4 Hydroplanes will take place July 14 and 15 at Oulton Broad, Lowestoft, Suffolk, United Kingdom. 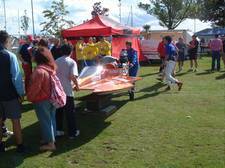 MY VERY BEST WISHES FOR SUCCESS in the 2007 OSY 400 World Hydroplane Championship on July 14/15. I will be thinking of you as I prepare to set off across the Pacific.